Don’t worry, it doesn’t actually look like this in Toronto right now – I took these photos way back at the tail end of last winter! Then I decided since the warmer weather was coming, I’d sit on the pattern for a little awhile. It’s the perfect time to knit one of these up now. When the chilly weather arrives you’ll be ready to go! A perfect layer for those extra-cold days or as a cozy jacket, this top down sweatercoat is sure to find a perfect spot in your wardrobe! Two strands of worsted weight yarn are held together for a cozy marled look and warm fabric. Shaped through the waist for a fitted look, and knit in one piece from the neck down with shaped buttonbands for a fun twist – they incorporate short rows so that they’re wider towards the bottom of the sweater. You can customize the length of the sleeves and body easily and it’ll still knit up quickly and easily. Shown in size 37” / 94cm with zero ease. Special thanks to Mary-Heather for the awesome name! This sweater is knit with worsted weight yarn HELD DOUBLE throughout. Shown in Cascade 220 Heathers, held double, 4 skeins of each colour. Skills needed: cast on, knit, purl, increase, decrease, short rows. 6 page colour PDF includes photographs, fillable forms, and schematics. Suitable for an adventurous beginner. Available through Ravelry, payment through Paypal (no registration required). The Lutherie Rav page is here! Very nice, and I love with Cascade 220 that it works out to a pretty affordable knit! Thank you for sharing. I was just looking for a pattern just like this one!! So excited. Looks very nice! I like the colour! Love this sweater. The yarn and knit combination work well together. I love that sweater (feminine yet cozy), and I *love* those shoes! Fluevogs? Ooh, I could do with being wrapped up in a cosy knitted coat right now! Lovely work, and I second Wendolene on the shoes! love this! 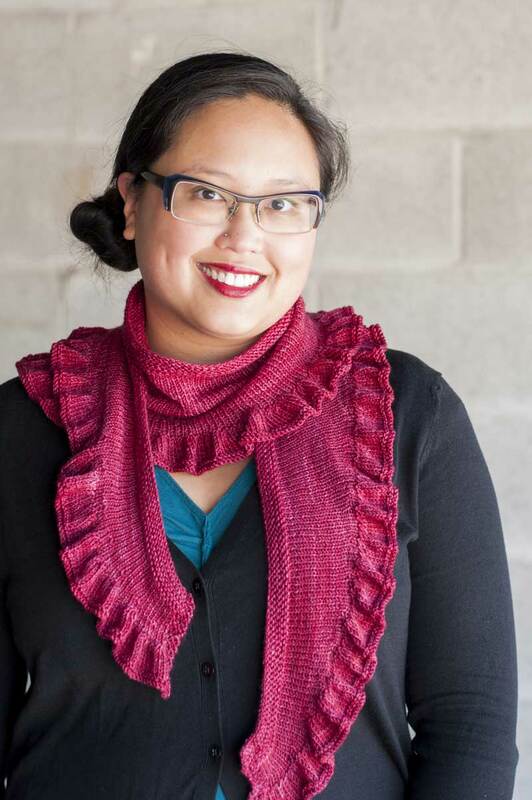 i’m snapping the pattern up from Ravelry, and am featuring it at Knit The Day today at 3pm CST! Looks like what I’ve been waiting for – a good-looking, easy-knitting, stashbuster, just in time for winter. Off to swatch now – thank you! Looks lovely, what a beautiful pattern! Hi Laura, love this pattern — been looking for a similar pattern for ages. Just wondering (I’m completely hopeless at modifying patterns) if it would be possible to knit this up in a single strand of worsted? I live in such a hot climate, I’m afraid the bulkier weight would be too warm. Would it be a big pain to try to convert to a lighter weight yarn?